Beautifully hand made feather hairpiece in ivory with a vintage style 1920's look rhinestone centre. The feather hairpiece comes with a bandeau veil as show on the model. 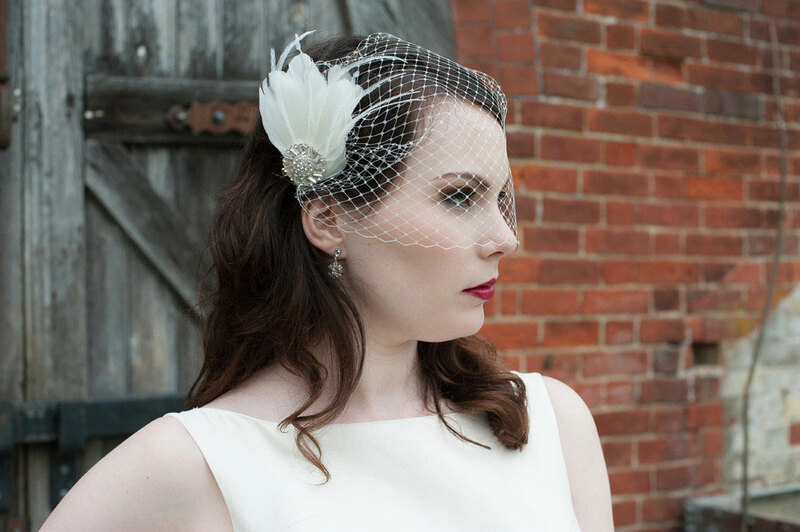 This feather headpiece is also available as comb on its own- just ask!